No man is immune. No one. 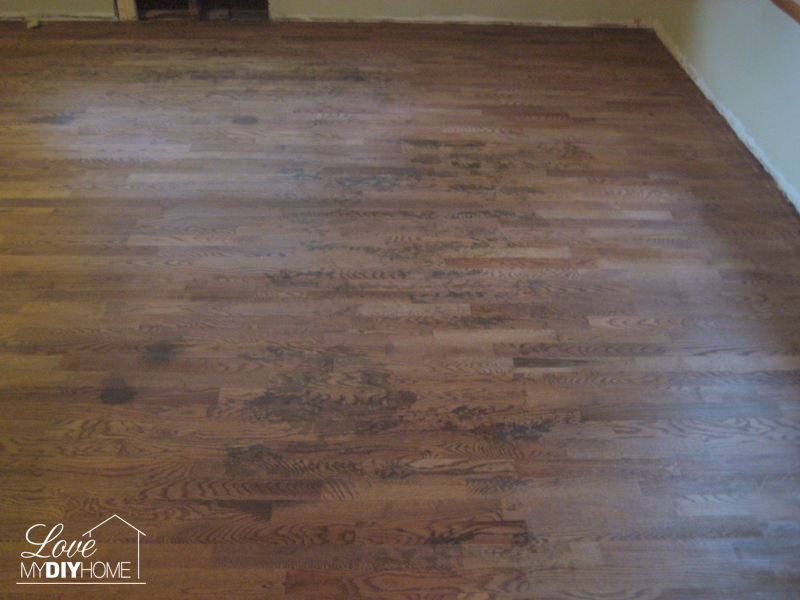 The Joneses hit a glitch in their remodel – the wood floors. 1) Repair whatever damage you can. 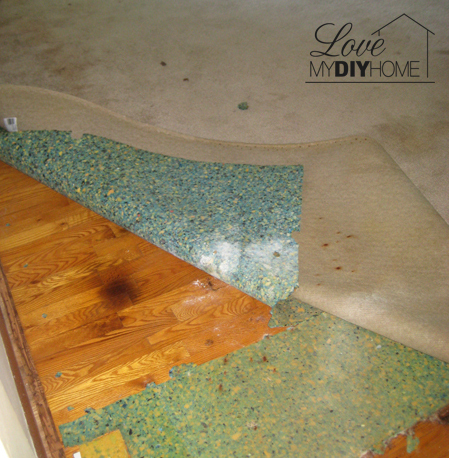 The Joneses pulled up staples from the carpet install and filled in holes. Even the littles can help. Live and learn through experience. 2) Rent sanders – remember to get one for the edges. 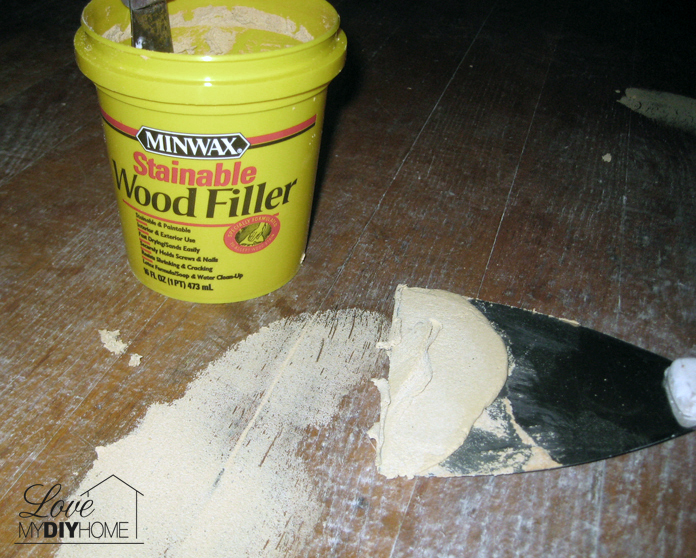 This is Myles’ floor after sanding. 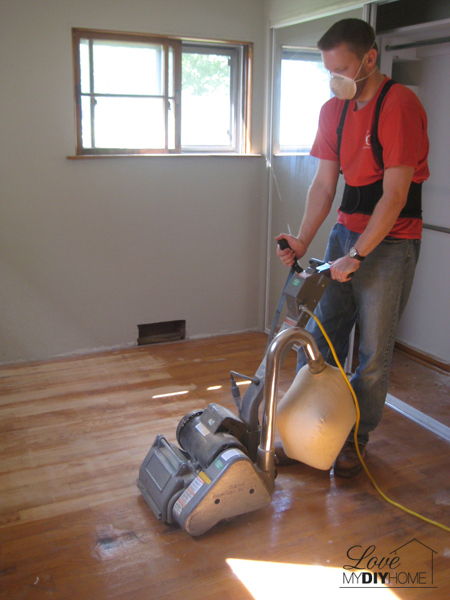 To rent the large sander, they paid $34/1st hour, $2.50/hour thereafter. 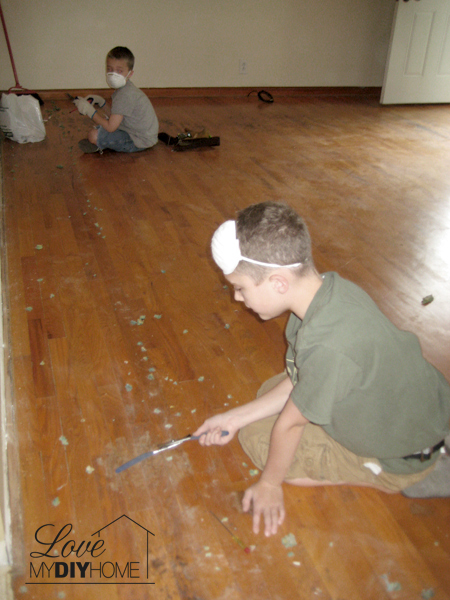 For the edge sander, they paid $17/1st hour, and $1/hour thereafter. 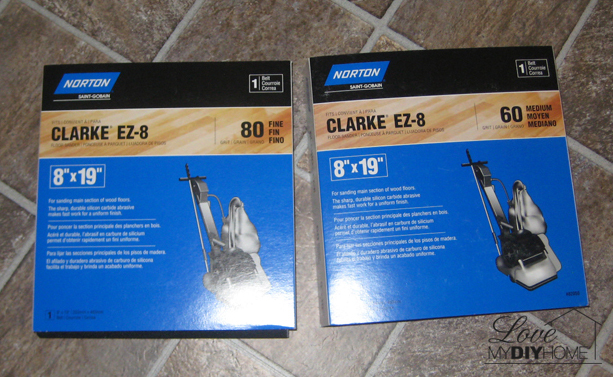 They paid $8/each for the sanding belts and 3/$5 for the sanding disks. They rented and bought the supplies at Menards. 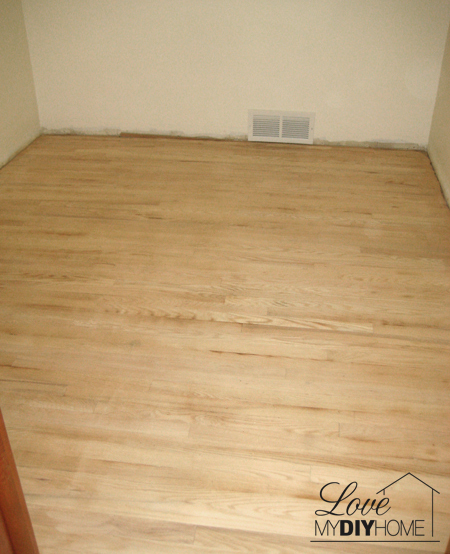 Here is the living room floor showing the damaged floor after sanding (we were really hoping the stain would help minimize it). 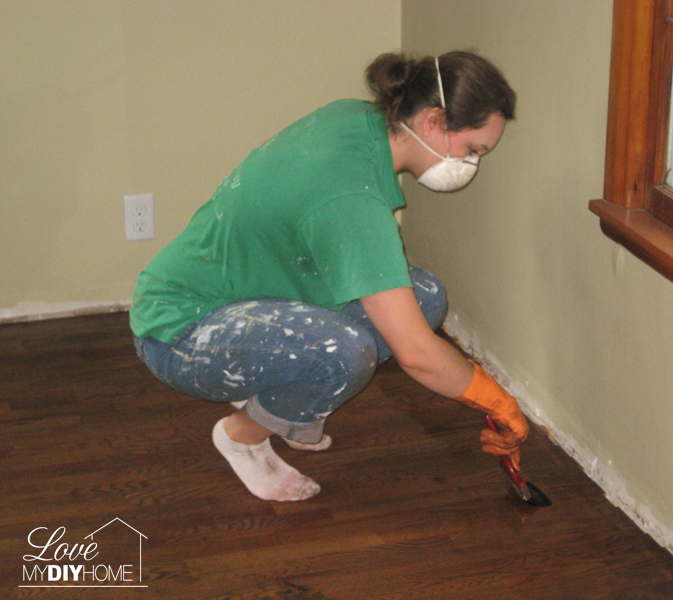 3) Clean the floors and stain. The Joneses elected to use a dark stain. 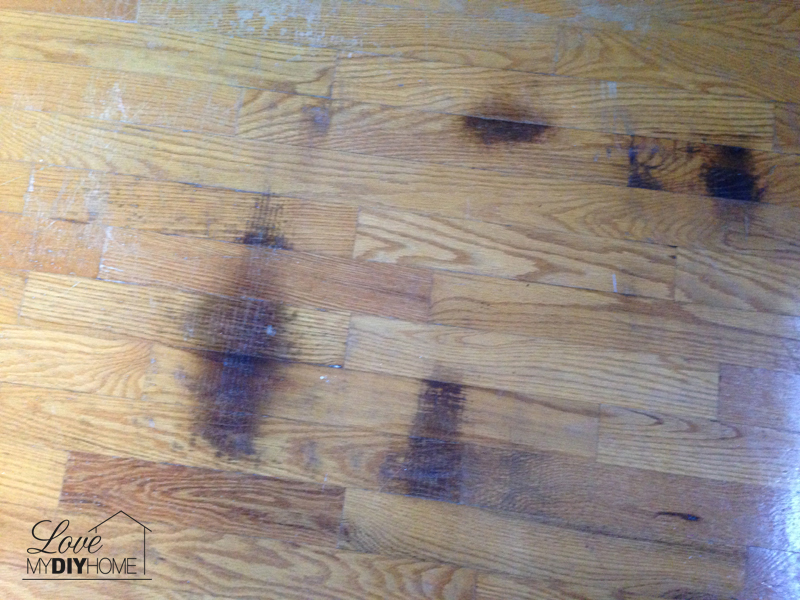 A darker stain will help hide some of the damage from prior owners. Oh, why do people destroy their homes? Can I just say something – people, if you spill something, just clean it up. It’s not that hard! The second coat was quite a dramatic change. The stain didn’t cover up the dark spots, but it did lessen the contrast. 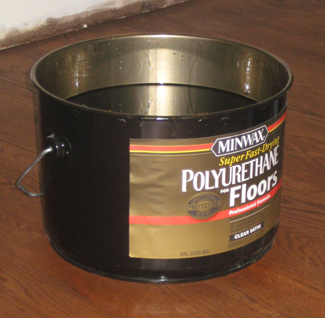 This picture is after one coat of polyurethane. Such a dramatic change! But here’s where it gets sticky… (pun intended) With all the rain we’ve gotten this past couple of weeks, no poly will dry with humidity above 75%. We’ve been hitting 95% with rain off and on for weeks – so much this past couple of weeks that we are glad God promised to never flood the whole earth again…because we’d really be wondering otherwise. 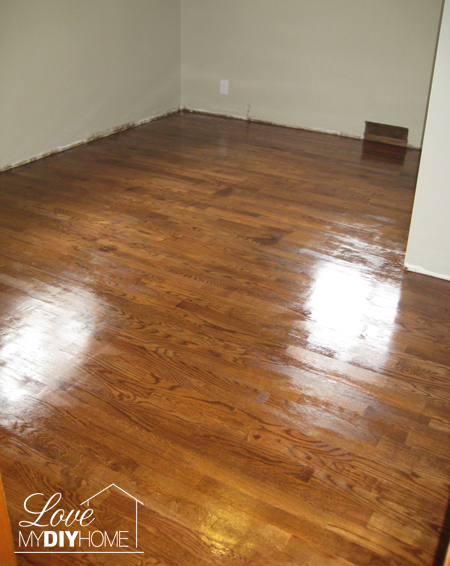 One coat of stain and one coat of poly has sat on their floors NOT DRYING for almost two days weeks. They are stuck (especially if they try to walk on it!). They sanded it August 26 and stained it on the 28th. The poly went on August 30th. 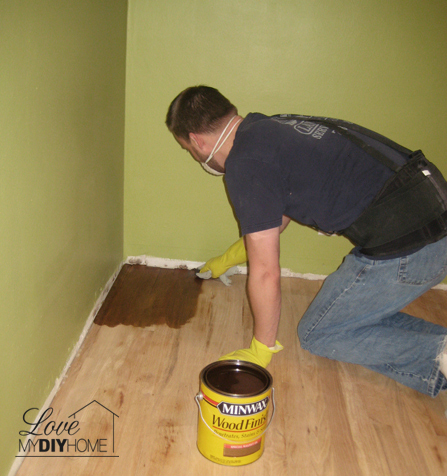 This is quick drying polyurethane. 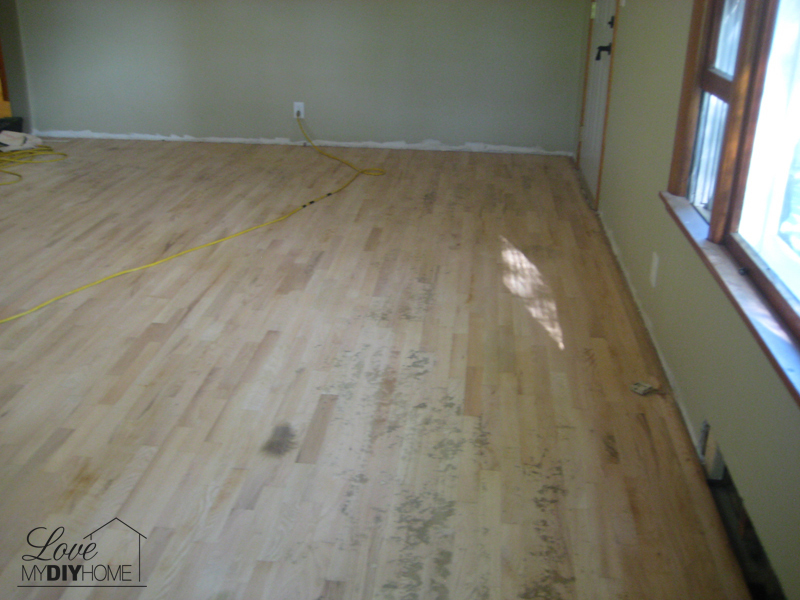 When your wood floors encompass every room but the kitchen and bathroom, there isn’t much you can do to move forward. And you realize you still have to put another coat on. But then the rain continues. I’ll let you know when the poly dries. 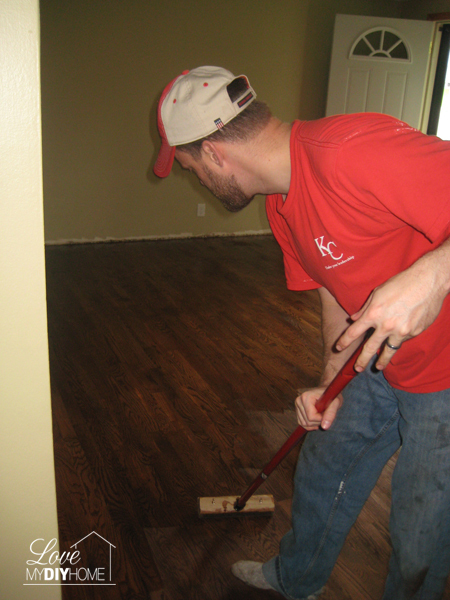 Meanwhile…the kitchen and bathroom floors are in and lookin’ good! I’ll show you pictures later this week. The kitchen cupboards are almost all painted and the backsplash bead board is up and painted and light fixtures are up too. Adam’s office is framed in. 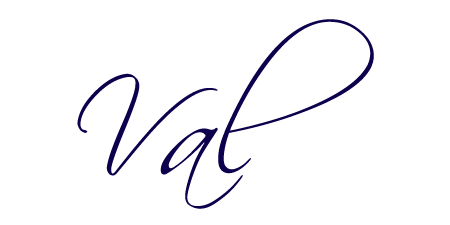 Please leave them a comment and tell them…. The reveal is just around the corner! 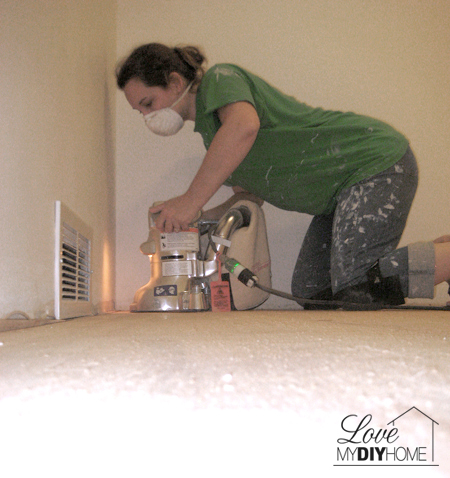 Keeping Up With the Joneses – Lose Those Ugly Floors! Even wet, the floor looks so much better! 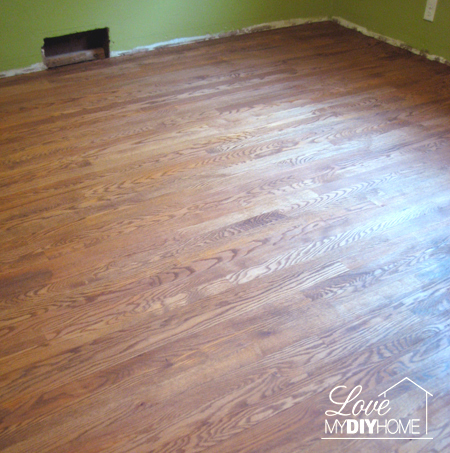 I have never re-done wood floors, but you make it seem simple (maybe not so easy). I’m looking forward to the reveal! I’m sure everyone is getting so excited and eager. Thanks for sharing. Thanks for stopping by Karen. I saw your fall wreath post today and you have inspired me to get on the fall bandwagon – I suppose it’s coming whether I acknowledge it or not. Hopefully the Joneses will be able to decorate their new house soon too! Thanks, Amber. I’ll check it out. 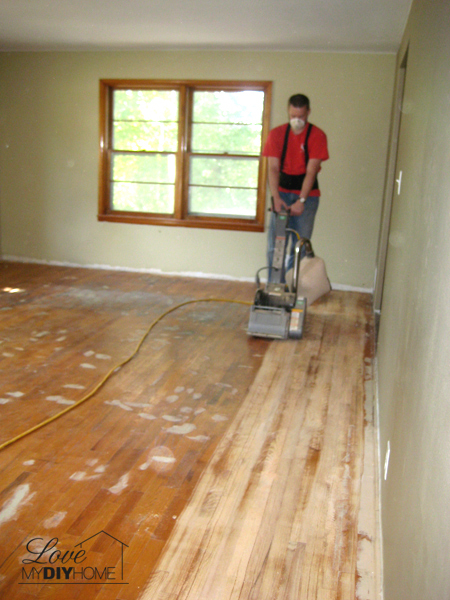 They are over there right now, checking out the floors to see if they can put the second coat on. Oh my word, we have had a ton of rain too, sorry about the humidity and so hope the floors dry soo. They look amazing. Thanks, Marty. It went from raining to cold. I think summer forgot to come this year! 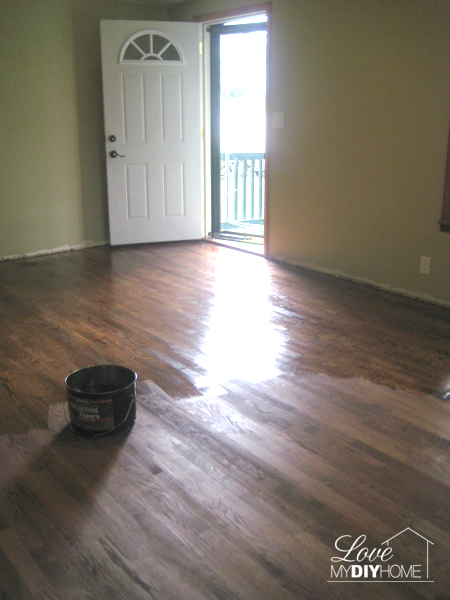 BTW, they did dry and the second coat dried in a couple of days – hallelujah! Oh my, it would be hard to be patient. But the floors look great! Thanks for linking up to Gingerly Made! Thanks Ginger – I visited your carrot soup recipe – looks yummy! I’ll have to spend some time on your site and check it out, thanks for visiting. So glad they finally dried! I was going to suggest borrowing someone’s dehumidifier. That’s what we used when we did ours. I’m not sure if it helped, but we already had one in the basement, so it was just moving it around a bit. 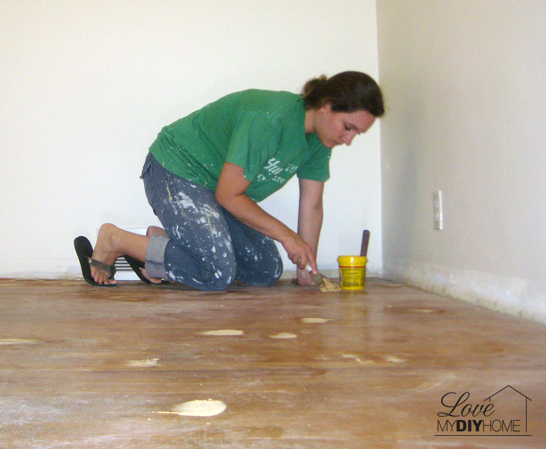 We did the exact same thing to our floors, and we love them. I can easily say that is the prettiest part of the house. 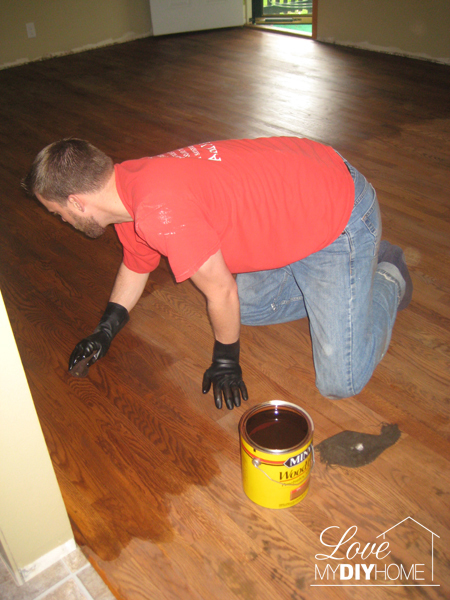 We went with a lighter stain because our floors were in decent shape and a satin finish polyurethane. 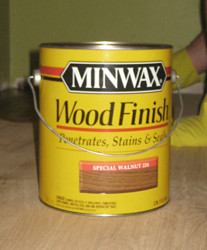 I think the higher gloss is nice, but if you have kids, dogs, and dirt, the satin finish does not show it as much. Beth, I’d love to see a picture of your before and after. It’s amazing to see the transformation. The second coat went on and dried in a couple of days and the outcome is great. So glad that part is over! Thanks for visiting. 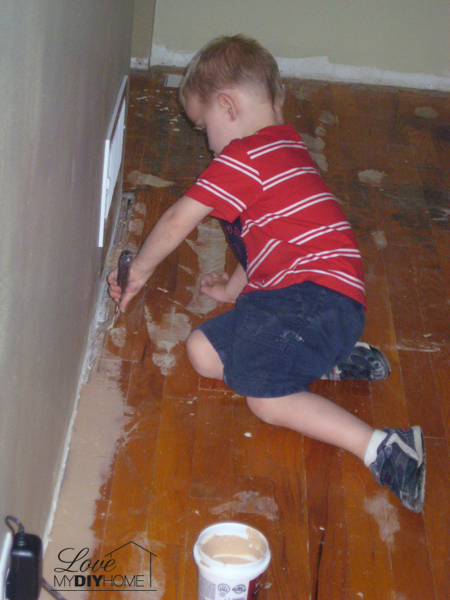 I love those little Joneses helping! So nice to teach them new skills instead of doing everything for them, good job! @Lily, you’d be surprised at how much these littles learn! This morning while I was working my grandson told me about wiring – what all the colors of wires meant. He’s only 8!